Livex 40783-91 - Faceted clear crystals drop beautifully from the transitional, scrolling form of this three light mini chandelier. The design is beautiful and appealing, with a brushed nickel finish. 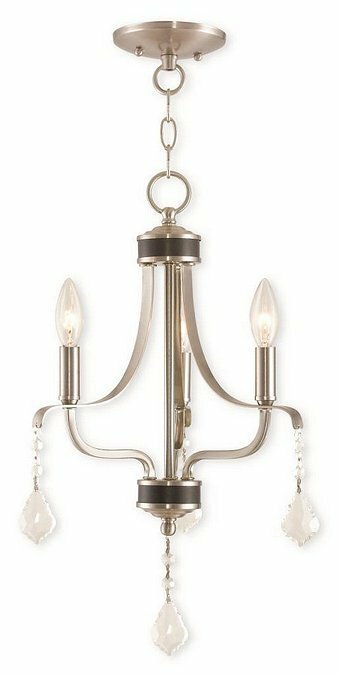 This mini chandelier is perfect for any room in your house. With Clear Crystals.